It was time to wash!!!! My scalp was so itchy, and dry, and brittle! I haven't wrapped my hair at night in like a week...bad, bad, bad. It's a struggle trying to make it two whole weeks without washing my scalp. Normally, I co-wash my natural hair every week and style it but when straight I shampoo every two weeks. I have really enjoyed my straight hair so it was time for a repeat. So, let's get started. To pre-poo I applied V05 Strawberries & Creme Moisture Milks Conditioner + Coconut Oil (Check out how I pre-poo HERE). I didn't measure it out but I do know I took a spoon full of coconut oil, melted it in the microwave until it turns liquid (20 secs) and stirred in half a bottle of conditioner until well combined. The conditioner I used is cheap so I can use a lot of it to accommodated for my hair thickness. 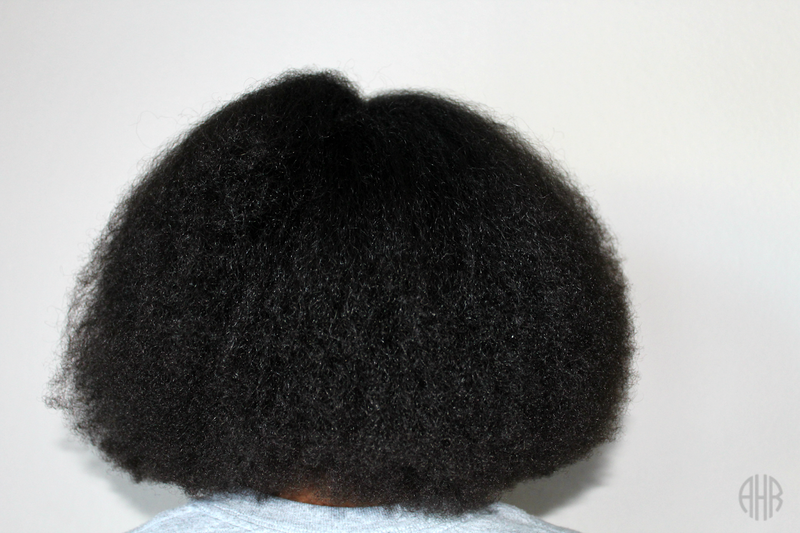 I smoothed it into my detangled straightened hair like a relaxer, taking small pieces of hair, applying it to my scalp and throughout the rest of the strand (imagine how you apply perms). This mixture is really moisturizing and my hair smelled like a smoothie lol. Because there is water in the conditioner, it draws up my curls and puts lost moisture back in! Plus, it prevents the hair from being stripped during shampooing. Next, I covered with a plastic bag and deep conditioned under my Gold N Hot Conditioning Cap (REVIEW) for 30 mins! The heat from the conditioning cap helps all the moisturizing goodness just soak right in my strands! Moving on to shampooing, I used Organix Morrocan Creme Shampoo. I focused the shampoo in my scalp and massaged gently with my tangle teezer to loosen any build-up on my scalp. I love this tangle teezer because it gets rid of everything on my scalp. I mean E-V-E-R-Y-T-H-I-N-G! It's like treating your scalp to a spa day as well because it feels great plus it stimulates those hair follicles to promote hair growth. 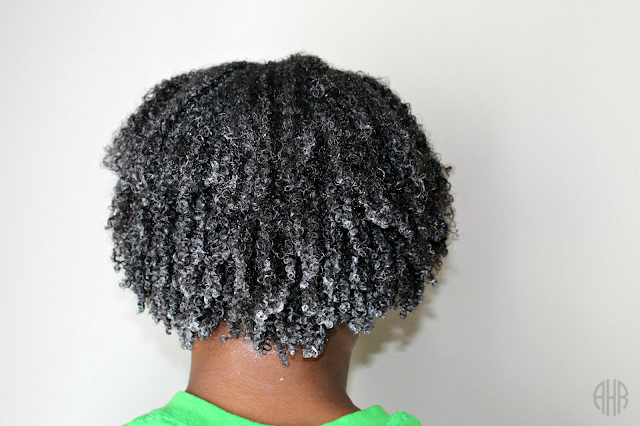 Next, I rinsed out the shampoo and deep conditioned. My deep conditioner of choice is It's A 10 Miracle Hair Mask (REVIEW). I applied this deep conditioner to my hair and focused it on my ends. Then, I covered with a heat cap, applied heat for a second time (you can never have enough moisture lol). To be honest, I think my hair has changed, or I need to clarify because this conditioner isn't as moisturizing as I remember. I don't know if it has something to do with using better quality products recently or if it's just all in my head. I sat under my conditioning cap for an additional 15 minutes, massaged my scalp with my scalp invigorator, and rinsed the conditioner out with cool water. Next, I wrapped my hair in a t-shirt to remove excess water. 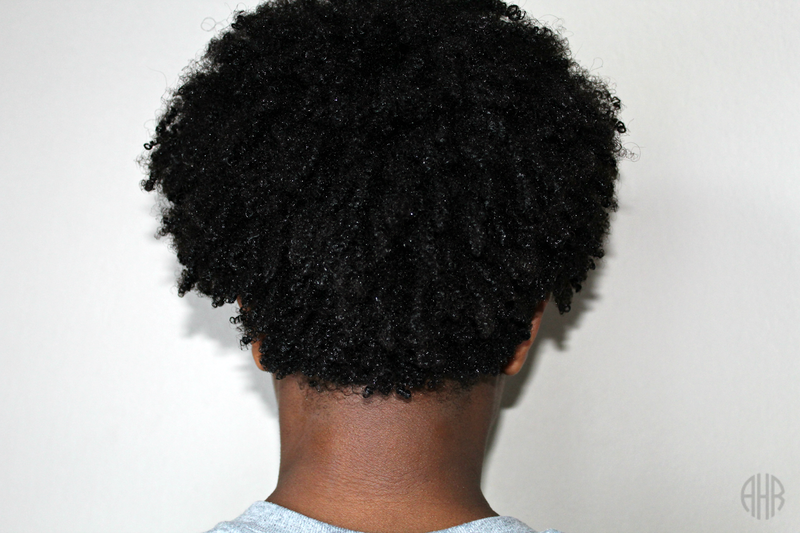 See my entire wash and deep condition routine (HERE). As for my leave in conditioner, I applied It's A 10 Miracle Leave In (REVIEW) + It's A 10 Silk Express Smoothing Balm (REVIEW) + Redken Extreme Anti-Snap + Kenra Platinum Blow Dry Spray throughout my hair. That is a lot of products but I was trying to get this hair soft (laughs) and I used a very small amount of each.Then, it was time for the blow dry process. I used FHI Ceramic and Tourmaline 1900 blowdryer with a comb attachment. First, I detangle with a wide tooth comb and cover the section I'm not working on with a plastic bag so it won't dry out. Then, I blow out my hair by starting from the ends and working my way up the strands. This process takes about 30 mins. Once again, my ends were extremely dry. I'm not sure why. Advice anyone? After blow drying, I flat ironed my hair with my FHI Runway Flat Iron. I use the chase method with small sections of hair at a time. The comb I use to chase with is from Sally's and it has 3 rows of teeth and I feel like my hair gets really sleek results using it. 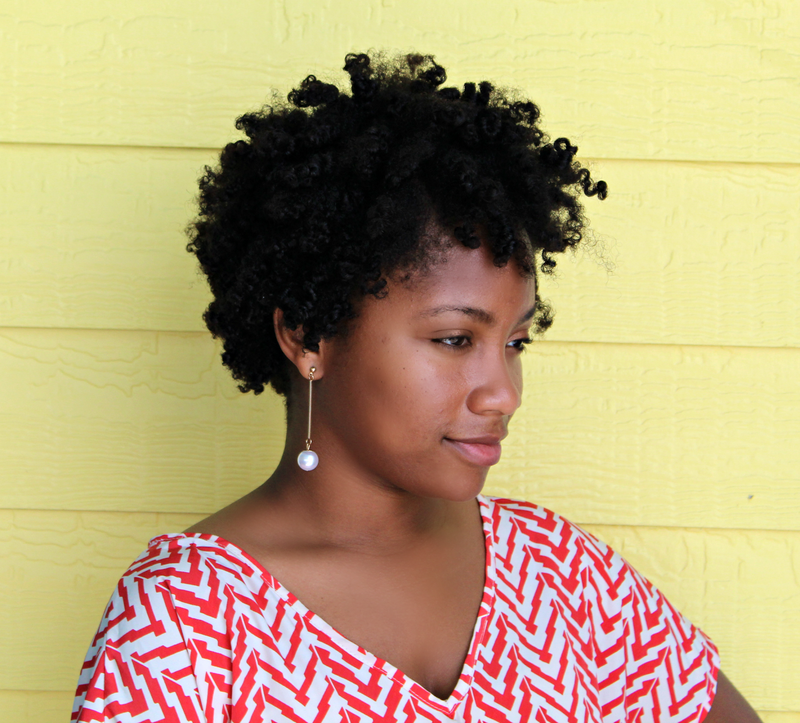 I place the comb in my hair toward the roots and place the flat iron directly behind it. 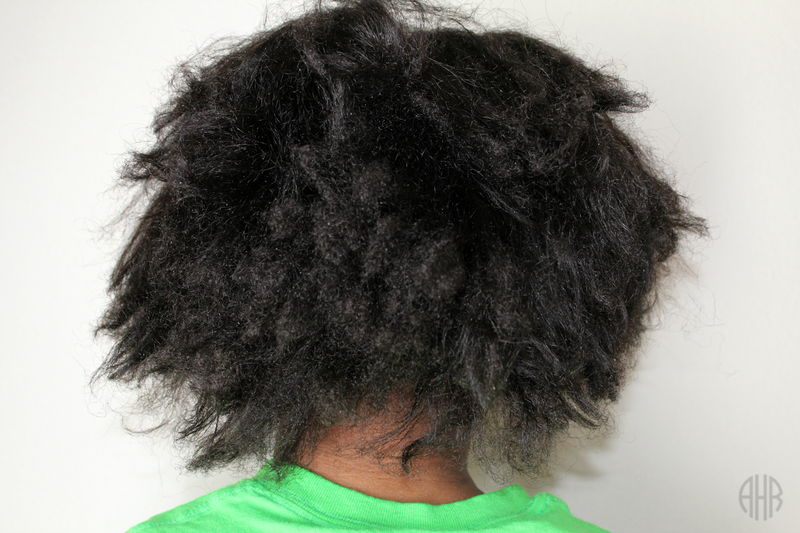 Then, I pull the flat iron and comb down at the same time and it appears as if the flat iron is "chasing" the comb. Also, I set my flat iron to 410 degrees to flat iron. I know that's a really high temperature but as a natural, I feel as if that is the only way I get my hair straight. However, I do lower the heat setting to 360 toward the front of my hair because I have a looser texture. Plus, I'm in desperate need of a trim...because my ends are rice crispy! This flat iron process takes about an hour to complete. 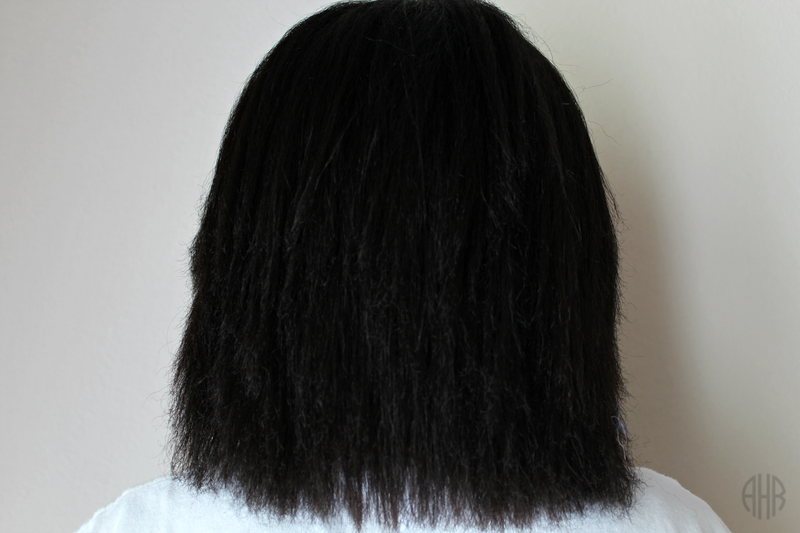 See my entire blow-dry and straighten video (HERE). Also, if you want to see the review of the tools I used in my hair like the tangle teezer and 3-row flat iron comb click HERE). Lastly, you can check out my initial thoughts on the FHI blowdryer and flat iron (HERE). I hope you all are enjoying your Friday! Peace! See ya Monday! 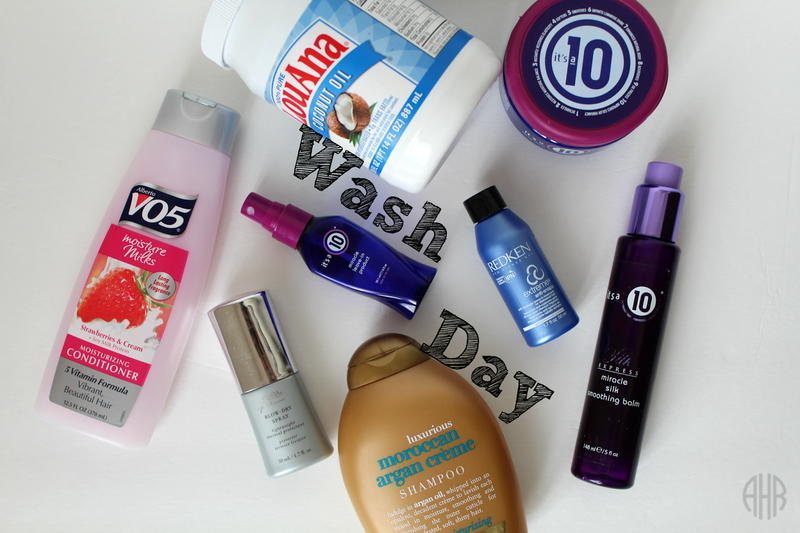 If you haven't seen my last wash day post, click (HERE).